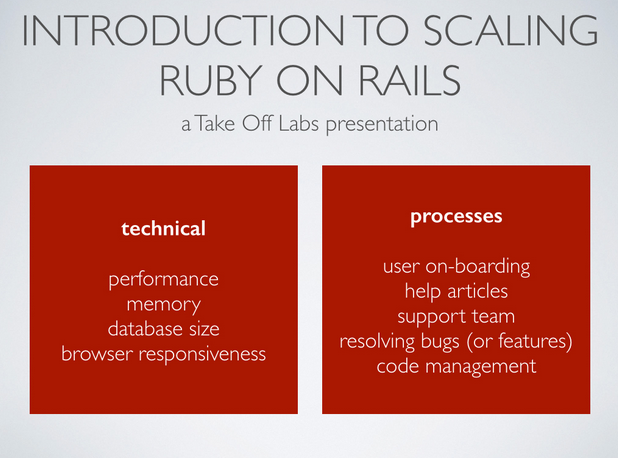 Does Ruby on Rails scale? The short answer is yes. We at Take Off Labs started in October a series of team events discussing the problems and the solutions to scaling Rails apps. 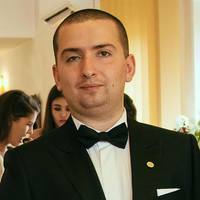 As we see our partner startup GolfGenius.com grow in users, traffic and code base, a few things need to be done differently in order to have a reliable and responsive application. For this first meeting, among loads of beer and slices of pizza, Alex, CEO at Take Off Labs, presented an overview of the scaling issues that arise in a large application with a focus on writing correct, elegant and optimal code which improves request performance. We described a library developed at Take Off Labs, LDS – Local Data Store, an implementation in Ruby on Rails of the identity map pattern. We use this library to store objects into memory and reuse them in the life span of a single request so that we avoid running identical SQL queries. 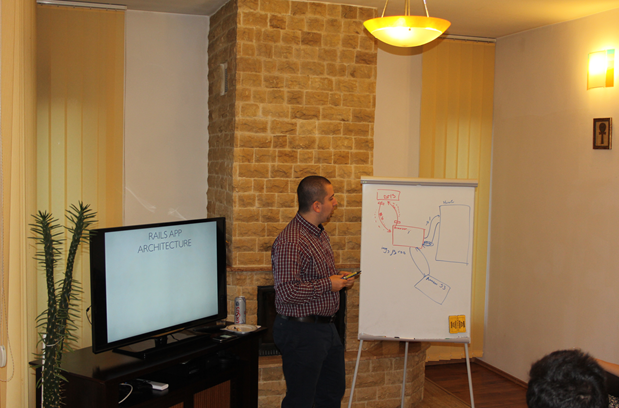 We also discussed about the architecture of a Rails application and what actually happens from the point a user enters a web address in the browser until the information is displayed on the screen and where things can go wrong. If you are interested in learning more about scaling Ruby on Rails applications and about Take Off Labs’ processes, send us an email at [email protected]. We are preparing a little surprise project, so stay tuned!